Join MAA members in June Lake for water ice climbing on top rope! Depending upon conditions, we'll climb at Horsetail Falls or Roadside Ice. Prior experience climbing ice and snow is helpful, participants will be expected to know how to tie in and belay safely. Loaner gear may be available. We have room for 10. Hope to have you out with us! 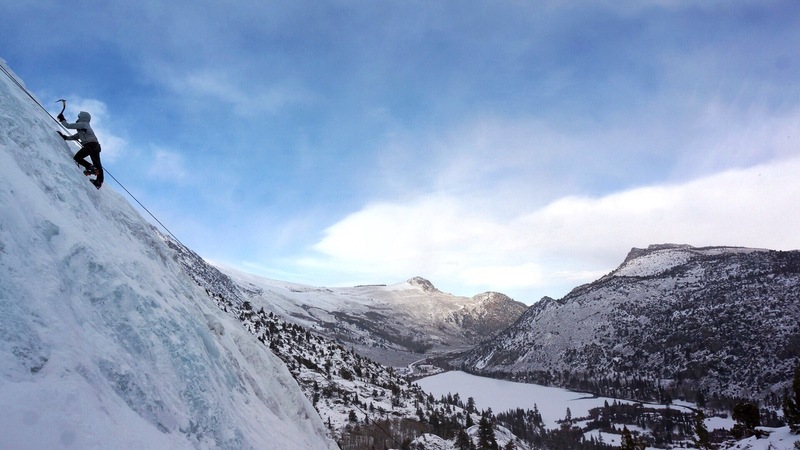 What's happening: Ice climbing at Horsetail Falls or Roadside Ice, in June Lake. Top rope belays. Horsetail Falls has a steep 1.5 mile approach, possible treacherous stream crossing. Where to meet: At the barriers at the end of the Hwy 158, near the power plant at 6:30 am. Even though this road is plowed, an AWD or 4WD may be needed. What to bring: Mountaineering boots, sharp crampons, ice tools, harness, helmet, belay device, warm layers, waterproof jacket and pants, puffy, lunch, water, pack, trekking poles. Crampons and ice tools may be provided by MAA. Additional Info: If conditions are not good or unsafe, this event may be cancelled or altered, even with very little notice. Driving on winter roads is hazardous, carry chains and plan extra time for travel.